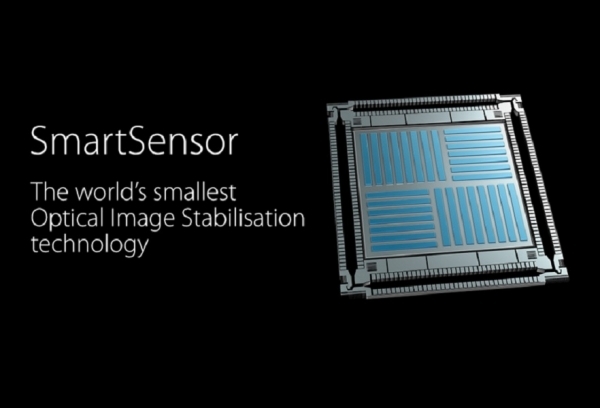 Home News What is SmartSensor image stabilization technology? What is SmartSensor image stabilization technology? At MWC 2016, OPPO released its new SmartSensor image stabilization technology. As the first sensor-based image stabilizer in the industry, it is also the smallest image stabilizer in the world! The OPPO SmartSensor image stabilizer senses and calculates vibrations on the pitch axis, yaw axis and roll axis, making split-second compensations through the use of a comb-shaped, voltage-driven MEMS (microelectromechanical system). Within milliseconds, three-axis anti-shake compensation can be achieved. Image stabilization technology can be divided into optical image stabilization and digital image stabilization solutions. Like digital zoom, digital image stabilization is actually a post-processing of collected data which attempts to strike a balance between picture quality and stabilization. This approach addresses the symptom rather than the root of the problem, resulting in an unavoidable loss in image quality. In professional cameras, optical image stabilization technology can be either lens-based or sensor-based. Due to the small size of smartphone camera modules, all previous IS solutions for smartphones have been lens-based. Moreover, only selected flagship models from leading brands, such as the iPhone 6s Plus, Samsung S6 Edge, and LG G4, are likely to feature this technology. Through the use of a gyroscope, this lens-based technology senses vibration on two axes, pitch and yaw, and uses a motor to shift the lens to compensate for movements on these axes. Ninety percent of the products using lens-based IS rely on a voice coil motor (VCM), which has certain drawbacks addressed in the next section. With its new SmartSensor technology, OPPO has pioneered a sensor-based image stabilizer for smartphones, upgrading smartphone IS functionality from two axes of movement to three. The first sensor-based and the first three-axis image stabilizer in the smartphone industry. The most common kind of shaking in photography takes place on the roll axis, but lens-based image stabilization cannot correct for motion on this axis. Whereas lens-based solutions can only compensate for shaking on two axes, the pitch axis and the yaw axis, SmartSensor has expanded the range of motion to include the pitch axis, the yaw axis and the all-important roll axis, allowing it to effectively compensate for the most common type of shaking. SmartSensor IS technology reacts faster. VCM lens-based IS technology compensates for shaking using a spring-based mechanism that must react proportionately to any movements, a process which takes 50 milliseconds. In contrast, SmartSensor, employs a comb-like MEMS that allows it to correct vibrations extraordinarily fast, completing a compensation in only 15 milliseconds. The technology effectively reduces power consumption, ensuring high performance in extended photography sessions. Traditional lens-based IS modules use electrically powered voice coil motors, which consume a large amount of power, over 500mW for just one photo. The lens also quickly heats up after taking photos for an extended time, which significantly lowers image quality. In comparison, SmartSensor IS technology uses a voltage-driven sensor drive, reducing power consumption to as low as 10 milliwatts, 1/50 of the electricity consumption of lens-based solutions. Most importantly, image stabilization precision has been massively improved. Traditional lens-based IS technologies have a precision of 3 to 5 µm, while SmartSensor remains precise to a vibration of just 0.3 µm, making it 10 times more precise than lens-based technologies. One pixel is about 1 µm, which means that SmartSensor’s adjustment precision is less than a third of a pixel. This is the first pixel-level IS technology for smartphones in the world!